The business of ViaCon group of companies is based on publicly accepted corporate responsibility and ethical principles, and social support. The company respects and guarantees the fundamental human rights, workers’ rights, fair competition, and environmental protection standards. It has signed cooperation agreements aimed at improving theoretical knowledge of future professionals, by presenting specialist expertise of ViaCon to students. Cooperation is based on delivery lectures, transferring know-how, introducing new technologies and other developments. 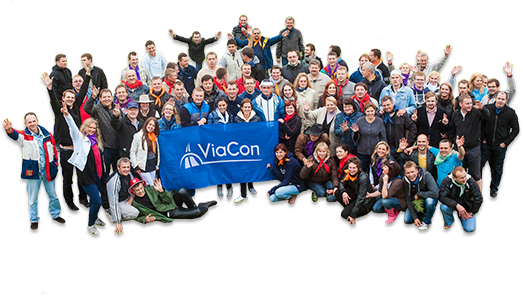 ViaCon Group companies employ professionals – innovative, active people, open to opportunities and interested in innovations. The group takes care of the development of most advanced work environment for employees, constantly upgrading their knowledge, and promoting the growth of excellence. The company also organizes seminars for its customers and partners, providing relevant information about innovations in the use of technology, materials, and products. ViaCon Group companies have installed the LST EN ISO 9001:2008, LST EN ISO 14001:2004 ir LST EN OHSAS 18001:2007 systems. Specialists creating projects assess all potential impact on the ecological balance. ViaCon group is concerned that this provision is complied with by the corporate customers and partners.